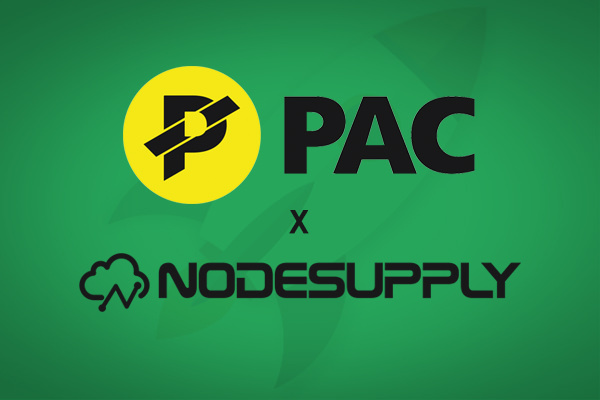 We just added support for PACCoin masternodes! PAC - People's Alternative Choice - has an active community and has been growing steadily over the past few months. Almost 6,000 masternodes secure the PAC blockchain. The normal hosting packages apply for PAC: starting at $6/month. Powerful managed VPS hosting for cryptocurrency masternodes. Enjoy our professional server network from $6/mo. Pay with Cryptocurrency (soon with PayPal / Creditcard!). Subscribe to our newletter to stay up to date with the latest news. ©Copyright 2019 NodeSupply.com. All Rights Reserved.